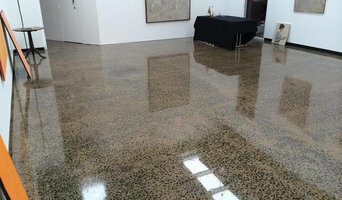 At Premier Polished Concrete & Grinding we’re passionate about concrete. No matter the size of a project we understand its importance to you as the client. We pride ourselves on listening to our clients’ needs and working alongside them to tailor a Polished Concrete solution that exceeds their aspirations and turning it in to a premium finished floor. Receiving a dull concrete slab and transforming it into a contemporary feature to be marveled at gives us the highest sense of accomplishment. The satisfaction on a client’s face when we hand over the finished product is what keeps driving us to do what we do. Whether your project is Industrial, Commercial or Domestic orientated we are the contractors for you. With more than 12 years of building industry experience, we have the knowledge and the most advanced equipment in the market to produce the best end result. We are based on the Mornington Peninsula, servicing all of the S.E Suburbs, Gippsland, Melbourne and Victoria. 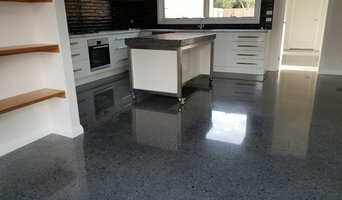 We specialise in a number of different finishes and services: - Full Stone Exposure, Mechanically Polished Concrete. - Random Stone Exposure, Mechanically Polished Concrete. - Minimal Stone Exposure, Mechanically Polished Concrete. - Nil Stone Exposure, Mechanically Polished Concrete. - Pavilion Finish (acid etched non-slip concrete for outdoor areas, driveways & pool areas). - Grind and Seal. - Overlay Systems. - Glue Removal. - Floor Preparation. - Floor Levelling. - Polished Bench Tops and Seats. Give us a call or an email today to discuss how we can transform the concrete in your life. At GALAXY Concrete Polishing & Grinding, taking pride in our work is important to us so that we can deliver the best results for your project using the highest quality Husqvarna equipment to achieve the finest results. 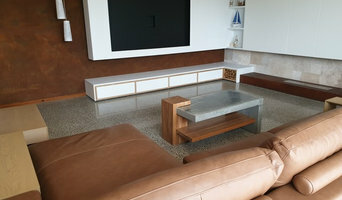 Polished concrete will work in with and suit any style or design choice adding a simple contemporary starting point to any area which will create a sleek sophisticated look that will not date and will last forever. The Galaxy Team are available to cater for large and small projects for Commercial & Industrial developments and various indoor and outdoor Residential flooring needs. With over 40 years’ experience in the concrete industry we have the experience to assess project requirements and advise customers of options available to achieve optimum results. Policrete is a Melbourne-based company that specialises in decorative concrete for over 20 years. The company's main product/services are polished concrete flooring and concrete benchtops, both indoor and outdoor. We are a wholly Australian owned and operated business located in Melbourne. We have built a reputation for being a positive, forward thinking business and have grown to be a leading supplier of manufactured and natural architectural stone cladding products in Australia. We also specialise in the supply of water garden products such as water blades, spillways, pumps and garden lighting etc. Covet International presents an array of architectural products that are unique, of exceptional quality, and suit the modern aesthetic. Our speciality is to bring to the market exclusive items that offer designers a point of difference. We have assembled a collection from Japan and Australia that cover; boutique Concrete tile and overlays, photorealistic batten cladding from Japan, modern exterior lighting also from Japan, vertical garden systems and much more. Having already stood the test of time, our stones are sourced from the glacial riverbeds of New Zealand's South Island and have been naturally rounded over millions of years, creating a perfectly smooth finish. The stones are then simply screened for size, cleaned and distributed from the glacial source. Interstone Marble & Granite Specialised in Stone Bench Tops throughout VIC and country regions. At Interstone Marble & Granite we manufacture and install the finest Marble, Granite and Quartz Engineered Stone products. From Home Renovations to Commercial applications. Paul and his team specialise in paving , hard landscapes, retaining walls, artificial lawns, cleaning and sealing, brick repair and restoration. With over 15 years experience in paving, landscaping and bricklaying in the U.K and Australia. Paul will assist you with your project from initial design to completion. Always providing you with after care for peace of mind. For over a decade, HL Stone World is a renowned and trustworthy name in supplying and installing quality pool pavers in Melbourne. We have a huge range of pavers to offer in order to suit any property perfectly. We have anything that is made out of natural stone, with our main strength being Granite and Sandstone pavers. We Offer: Sandstone Pavers & Copers Travertine Pavers & Copers Kitchen Benchtops, Vanities & BBQs Bluestone Pavers & Copers Granite Pavers & Copers Pool Glass Tiles Why choose us? Free onsite quote Package deals for supply and install Closely work with major pool companies Supply & installation to the highest standard Cut to any shape or size Template pool copings Bull nose and bevel edging Variable thickness available Exceptional service throughout the projects, from start to finish. Expert advice on choosing the colour, landscape style etc. Delivery all Melbourne suburbs Experience: We have an experience of 10 years in this industry and have dealt with all types of projects from simple to complex. Our highly skilled and expert installers can install the best quality, attractive pavers for any commercial or residential property in Melbourne. We pride in offering affordable paving solutions with no-compromise in the quality. Contact Us Today: We guarantee to beat any written price quote. For an obligation free price quote or for more information on products offered, visit our website today! Walsh is one of the leading providers of services for industries. Get specialized experts for plant design, fabrication and installation under one platform. The company is also into services, repairing and maintenance of various industry equipments like Quarry, mine plant, truck, earth moving services, hydraulics, etc. that too with 24 hours emergency service. Apart from these, company also offers mobile onsite sandblasting and painting. Being a certified Volvo Penta dealer, it provides original equipments and parts. 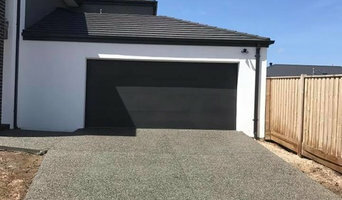 A Geelong, Victoria stonemason can add kerb appeal to your home and is usually hired for home projects such as driveways, pathways, pool coping and home facades, but can also build retaining walls and fit stone cladding. In some instances, their work can extend to features inside the home, from fireplace surrounds and mantels to staircases. 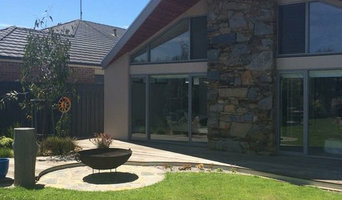 Find a Geelong, Victoria stone, paver and concrete professional on Houzz. Scroll through this page to find a stonemason, paver or concreter in your area. Just enter your suburb in the top field to narrow your search. You can browse their latest projects, read reviews and see how other homeowners rate their work, and message them directly.